Honey Bea Charter’s crew members respect the turtles! 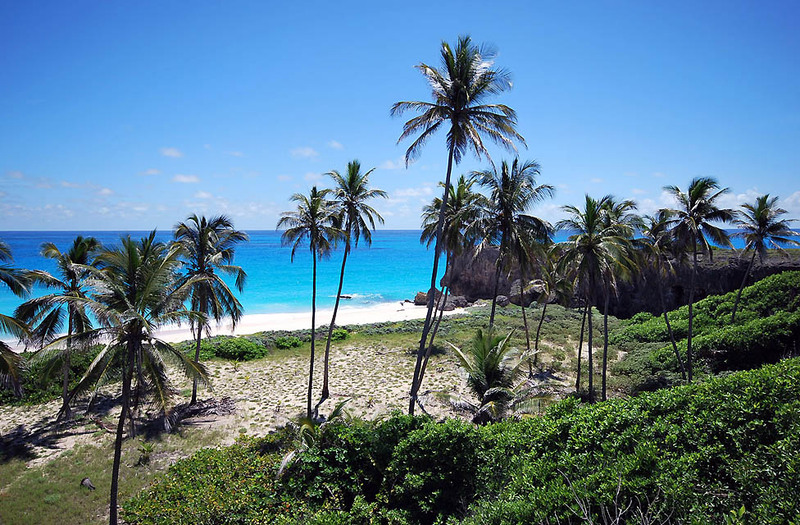 The telephone number is public on brochures all over Barbados and on website HoneyBeaBarbados. Telephone 230.9936. 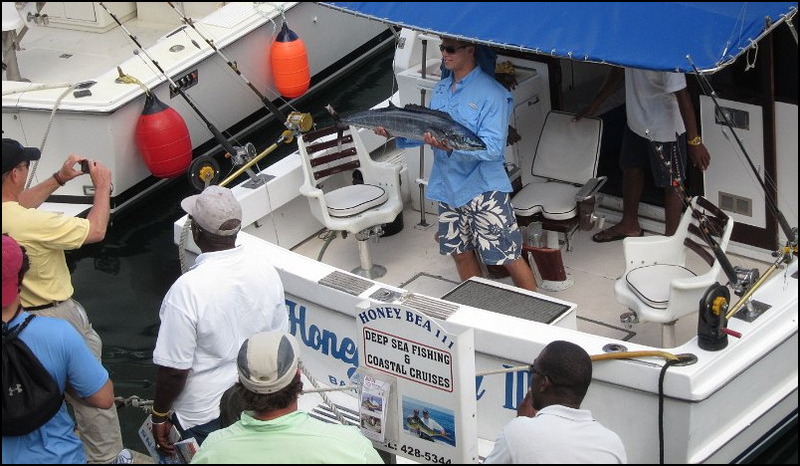 The recently retired captain at the time has worked for Honey Bea Charters for approximately 40 years and the mate for almost 20 years. These are experienced local fishermen in a small tourism service and have never to my knowledge ever landed nor fished for turtles, especially on Honey Bea nor in the Careenage. 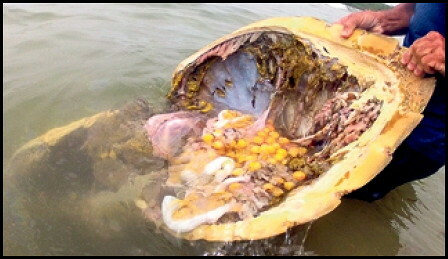 Many charters boats feed fish and bait scraps to turtles in the Careenage and tourists usually enjoy watching them surface. They inquire on the spot about cruises to snorkel and feed turtles on West Coast and fishing charters. You can imagine the crew would be the last people to deliberately fish, hook, land a turtle in the Careenage as they support their life’s living off the turtle feeding practise. 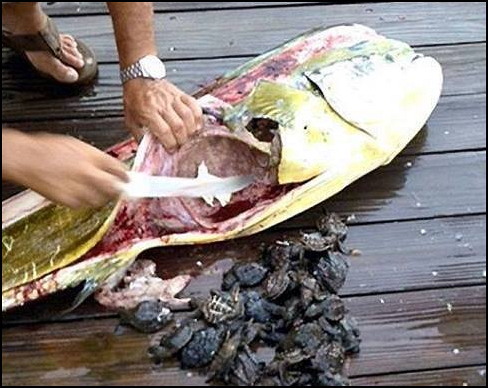 On the other hand, turtles bite at fishermen’s bait meant for fish regularly and if a hook was overboard during feeding, the high probability is the hook disintegrated or came out of the turtles mouth. I wish Barbados Free Press the best with quality investigative journalism in the future, which protects the rights of the vulnerable, the working class and exposes injustice, unethical and criminal behavior in society – but of course based on facts and not any uncertain libel accusations which may neglect truth and slander hard working people and more innocent members of society. We love to see the hatchling releases by the UWI Sea Turtle Project, but a photo of a Dolphin (Mahi Mahi) being cleaned reminds us that only a few turtles survive the first few days in the sea. The lucky or smart ones are few. All the more reason to immediately report anyone you see killing an adult turtle. There was a time when sea turtles were like the stars in the sky around Bim. Not anymore. Each one of us has a responsibility to protect and grow our sea turtle population. Thanks to Skip to Malou and the Barbados Sea Turtle Project for the photos and links. 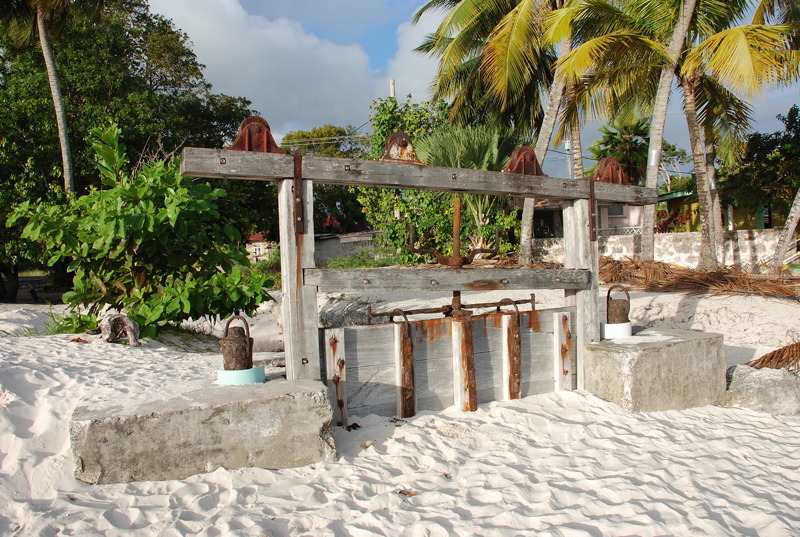 Police absent as killers raid nests, butcher hawksbill turtles right on the beach! The increasing reluctance of Bajans to report crimes or to testify in court is directly related to fears of retaliation. People also have an unwillingness to experience the well known abuses of the police and court system towards witnesses, but it is the witness fear factor that is the first barrier to our police when they arrive at a crime scene. There can be two hundred people in a field but nobody ever sees or hears anything – gunshots and screams included. This lack of confidence in the ability of the police and the courts to protect witnesses from threats and harm is seriously undermining the quality of life in Barbados. There is a general realisation that the lawless elements are becoming bolder as they know too well that the police aren’t likely to come when called, and if the police do come, ordinary folks will say nothing because they are too frightened to become witnesses. Although judges, lawyers and citizens have been vocal about this disturbing trend of threats and other intimidation tactics against witnesses, neither the government nor the police have done anything to address the problem. In the courts it is still a common occurrence for charges to be dropped with the thin explanation that “the victim no longer desires the charges to proceed”. The judges, lawyers and the DPP never make further serious enquiries as to why the victim has “changed their mind” as I once heard a lawyer tell the court. Neither have our lawmakers in Parliament seen fit to change the laws to enable judges to force victims and witnesses to testify. This change, combined with prosecutors refusing to drop charges, has proven especially effective in reducing domestic violence in the U.K. and several American jurisdictions we’ve read about. This year the grisly turtle remains are turning up everywhere. The Nation reports that the number of known killings so far this nesting season is double that of all last year. Taken in October, 2008. Enjoy the photo folks, because it’s all changed and we can’t say for the better. Give thanks to an old friend. An old friend sent this to me. On the surface it’s an overdose of cute. On a deeper level, well… it gets pretty deep. Inspiration and learning is where you find it… and very often it is found where you don’t expect it.